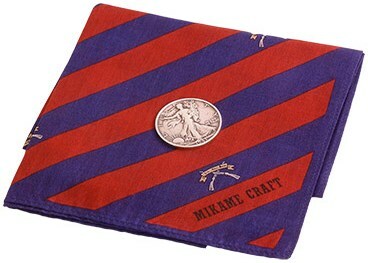 Mikame's Coin Hank isn't just for coin magic! Use it for beautiful sleight of hand. This is a gorgeous utility item which everyone needs! Made of patterned silk from Japan. Beau asks: I was curious if there is a product similar to the Mikame vanishing hank on the market? I do know Richard Sanders has a version, I just wasn't sure if it was as diverse and could use it for such diverse items as the Mikame. Thank you. 1. Vanishing Inc. Magic responds: Any Ring is excellent if you want to vanish a ring. It just depends what you want to use it for.